Cary Grant and Grace Kelly in To Catch a Thief (1955). 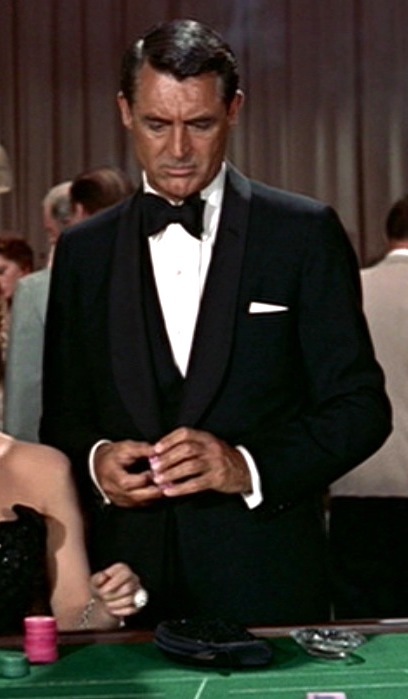 Cary Grant as John Robie in To Catch a Thief (1955). 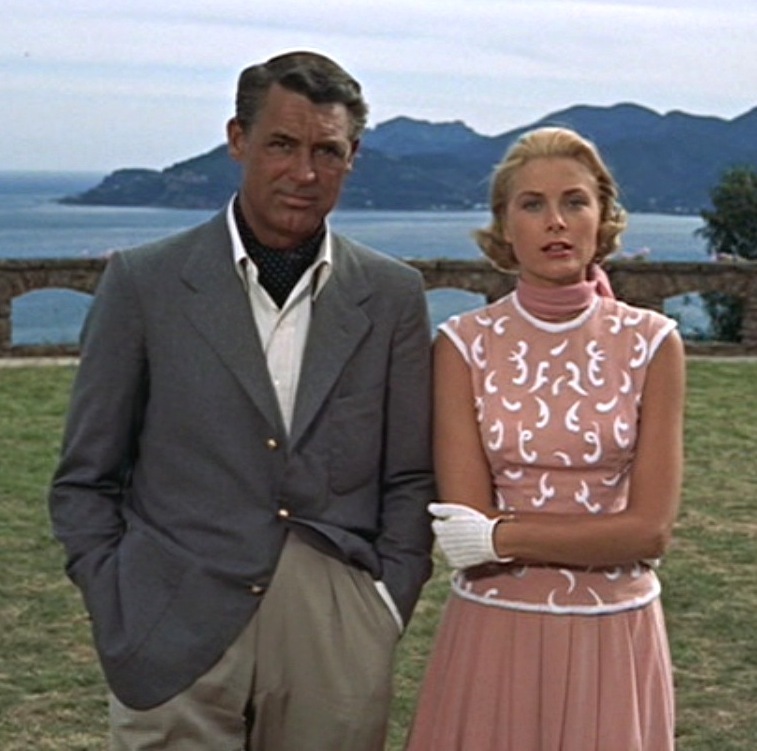 To Catch a Thief is a classic Hitchcock production featuring two of his favorite stars – Cary Grant and Grace Kelly – in a romantic crime comedy-thriller set against the exotic backdrop of the French Riviera. It was one of Grace’s last films in her too-brief five-year acting career before becoming Princess of Monaco. 26 years ago today – November 29, 1986 – Cary Grant passed away. To pay tribute to this screen legend, here he is as he would have wanted to be remembered: in a sharp tuxedo as a lovable rogue charming the gems off of Grace Kelly. In the early 1950s, Cary Grant cited his growing age (he was almost 50) and the rise of method acting (Marlon Brando existed) as the primary reasons for his retirement from acting. However, in a tradition ranging from Grover Cleveland to Frank Sinatra to Brett Favre, this retirement was short-lived. Get an email every time I do something new. © 2012-2019 BAMF Style. All rights reserved. While you wait you can read my column. It'll make minutes fly like hours. My journey recreating Michael Jackson's iconic costume from the film. Small-time true crime from New Castle, Pa.
Women like silent men. They think they're listening.